Al Rayheen Cargo, has a well organised transport system consisting of various specialised vehicles, a nation wide network, and computerized tracking system, which empowers us to give comprehensive transportation to meet every need. 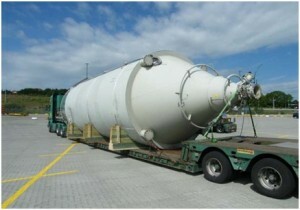 Mass transportation or small quantity delivery, no problem! We provide the best domestic transportation solutions possible through own trucks as well as strategic alliances with other contract truck carriers over the road. Al Rayheen Cargo, we also render services like loading, unloading, escorting and transit with insurance etc. Tempos, Trucks, Canters, Trailers and Containers (closed body) are utilized to transport all the articles to the respective destinations. Experienced and reliable drivers and staff ensure safe & smooth transit of our customer’s goods. Project transportation is the part of ODC (Over Dimensional Consignment) material as well as over sized equipment at Al Rayheen Cargo we serve you a world class service with fully automated vehicle of capacity of 2 m to 200 m. We forward your goods as per your requirements and we serve at Any road, Any load, Any size criteria, so you not need to worry about your consignment . We are much concerned about the safety of your goods as much as you. This is our first priority! Transits of your machinery is completed with pleasure by our highly qualified & professional staff working with Al Rayheen Cargo. Providing the highest standard of service to our prestigious client is our motto and hence we always work beyond the imagination.